Company owner, Dean McDermott studied horticulture at college and joined his father's small business some years ago. Following his father's retirement he continued with the company and gradually expanded its client base and staff levels to develop it into a limited on 23rd August 2000 and Parkway Ground Maintenance Limited was born. Managing Director, Dean McDermott studied horticulture at college and proceeded to join his father's small business. Following his father's retirement, he continued with the company gradually increasing its client base and staff levels developing the company to become limited on 23rd August 2000 and Parkway Ground Maintenance Limited was born. Parkway prior to and after becoming a limited company held contracts with, amongst others, West Midlands Police. This encompassed such work as the maintenance of police stations, void properties and its two playing fields at Tally Ho, Edgbaston and Richmond Hill, Harborne. The high standards and value for money output produced by the company then led to a considerable increase in business and Parkway now covers the maintenance of sports fields, both summer and winter marking and maintenance; football clubs, maintenance and marking; housing associations, the largest site having 600+ residences; schools both private and LEA, business parks and some domestic work. 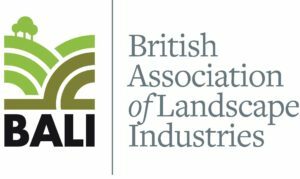 From its small beginnings in Solihull the company now undertakes work across the West Midlands, Staffordshire, Warwickshire and Nottinghamshire involving itself in ground maintenance, sporting and amenity, fence erection and repair and highway verge mowing, gritting and snow clearance. Although classified as a small/medium business all areas of legislation are satisfactorily adopted by the company. To this end Peninsula Business Systems Ltd were contracted to ensure all aspects of Employment Law are upheld and they have also installed and audit the companies Health & Safety policy. The company is also proud to be an Equal Opportunity Employer and has all its employees enhanced DBS checked. Refusing to let the company stagnate the MD then moved towards ISO 9001, Quality Assurance and ISO 14001, Environmental and has certification in both areas. 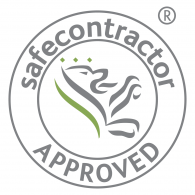 As well as gaining Safe Contractor accredited. Parkway's history has been one of steady progress. Unlike many larger companies Parkway has recognised the need and has developed flexibility with the ability and most importantly the willingness to accommodate our client's requirements with contractual, short term or immediate variations or additions. Throughout its history Parkway has refused to lower its quality levels in order to obtain a contract and that has led to 'our reputation being our recommendation’.